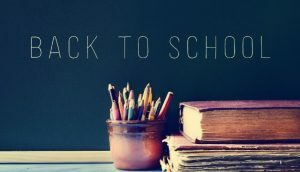 School starts tomorrow, August 27th, and we are so excited to welcome the kids to 6th grade, get to know them, and start learning! We will meet on the field for 7:45 and have opening ceremonies, followed by the Kleenex and Confetti welcome back. Also this week, Parent Engagement Meetings on Tuesday, Wednesday, and Thursday, from 2:30 to 3:30, so please be on the lookout for a sign-up genius to meet with one member of the team to talk about your student’s strengths and interests. And remember, no school on Friday, the 31st and Monday, the 3rd to celebrate Labor Day! We are so excited to start this school year, and we’re looking forward to seeing you all tomorrow!